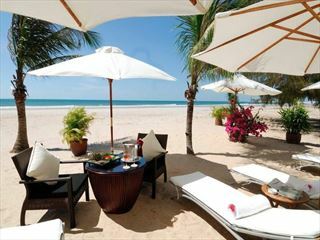 With a wonderful arrangement of guest accommodation as well as some of Vietnam's most sought after white sand settings, the Anantara Mui Ne is everything that you could wish for from a luxury Southeast Asian beach resort with couples finding themselves in absolute heaven. Spa treatments, candle lit lounge bars and the gentle lapping of ocean waves all add to what is bound to be a really romantic treat to remember and if you're looking for a few VIP touches try Dining by Design and you won't be disappointed. 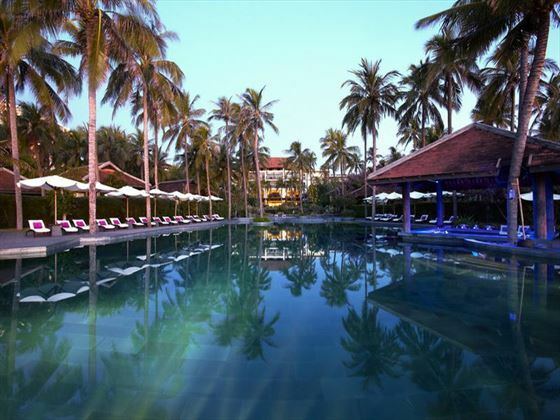 This is a fabulous resort to experience the very best of south east Vietnam with numerous cultural, historical and exciting things to do both in-resort and within the surrounding area. 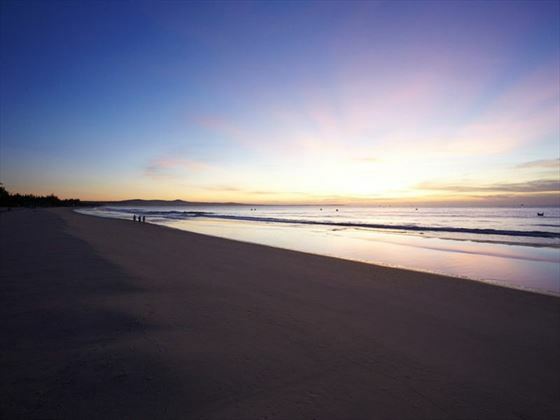 Situated on one of Vietnam's most prestigious stretches of white sand beach, Mui Ne, close to numerous fishing villages, sand dunes and historic landmarks as well as the restaurants, bars and shops of Phan Thiet. Tan Son Nhat International Airport is around 140 miles out of resort and can be reached in approximately four hours by car. Deluxe Rooms – main property location with choice of one king-size bed or two twin beds as well as garden views from the private balcony. 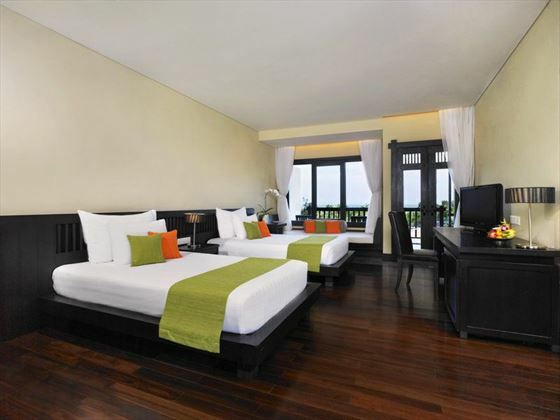 Deluxe Ocean Room – larger than Deluxe Rooms with one king-size bed and ocean views from the balcony. 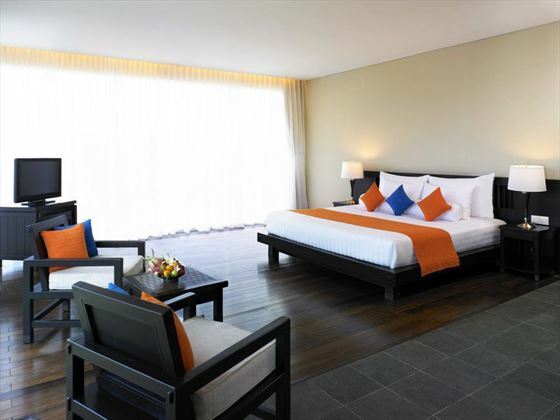 Ocean Suites – larger than Deluxe Ocean Rooms with an upper floor location within the main building for superior ocean views from the private balcony which features a comfy day bed. One Bedroom Pool Villas – around the same size as Ocean Suites within a standalone property featuring one king-size bed, a private pool and outdoor dining pavilion. 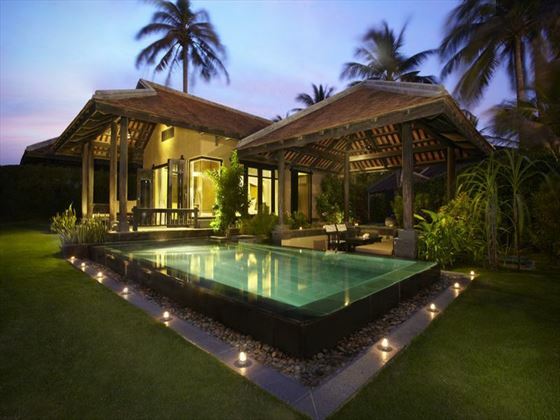 One Bedroom Beach Front Pool Villas – same size as One Bed Pool Villas with same features as well as closer proximity to the beach. 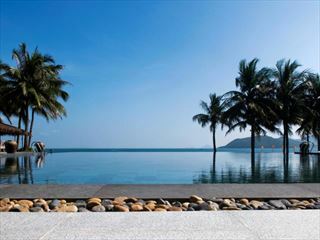 Two Bedroom Residence Pool Villas – larger than One Bed Beach Front Pool Villas with one king-size bed, two twin beds, private pool, dining pavilion and ocean views. Two Bedroom Family Pool Villas – around the same size as Two Bed Pool Villas with same features as well as garden or lagoon views. Two Bedroom Duplex Pool Villas – same size and features as Two Bed Family Pool Villas but spread over two levels with one king-size bedroom on each floor and a balcony on the upper level. Two Bedroom Suites – larger than accommodation mentioned above with two en-suite king-size bedrooms, Jacuzzi bath, separate rainshower and private balcony with day bed and pool views. Two Bedroom Beach Front Pool Villas – same size as Two Bed Family Pool Villas with spacious indoor and outdoor living and dining areas, one king-size bedroom, one twin bedroom, private swimming pool and premium beach access. 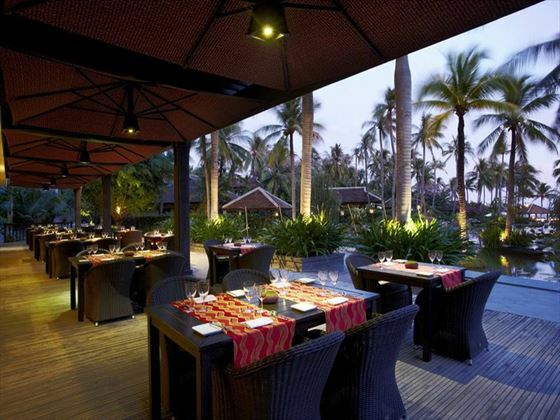 L'Anmien Restaurant – all day dining facility featuring a great choice of international and Vietnamese dishes as well as VIP rooms and global wine lists. The Wine Room – wine cellar list accompanied by cheese and charcuterie platters and tailor made menus for private gourmet dining experiences on request. Cham Lounge – lunchtime and evening tapas, snacks and cocktails from within a sophisticated bar and lounge setting. Thung – sizzling steaks and freshly caught seafood provide the lunchtime and weekend evening meal menu 'must haves' from a wonderfully romantic beachfront lounge setting. 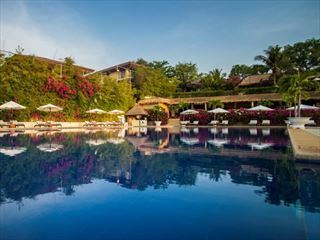 Flow – wines, cocktails and gourmet light bites by the pool and at the swim up bar. Dining by Design – bespoke menu, VIP service and the setting of your choice. 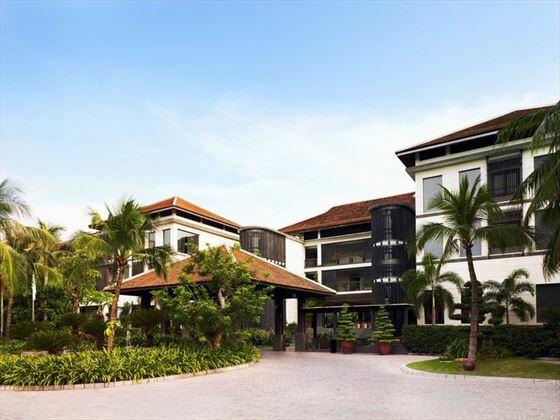 Anantara Spa – five private treatment rooms for a full choice of massage and signature treatments as well as a beauty parlour, steam room and Jacuzzi.